The son of a soldier, he graduated from the Royal Military College, Duntroon, in 1968. He was sent to Malaysia as a lieutenant in the 1st Battalion, Royal Australian Regiment. During his next posting in Vietnam he commanded an infantry platoon and was awarded the Military Cross for his performance and leadership during an assault on enemy positions. 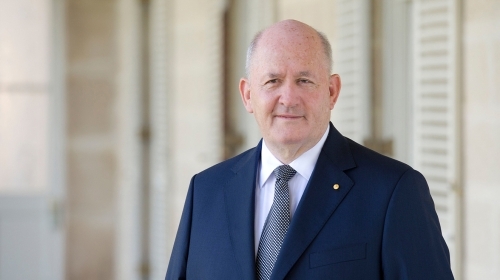 In 1999 Peter Cosgrove became a national figure following his appointment as Commander of the International Forces East Timor (Interfet). He was responsible for overseeing East Timor’s transition to independence during, what was to become, a tense and uncertain period. He shone as both a soldier and diplomat. Always in his slouch hat, Peter Cosgrove was a strong and reassuring figure, appearing regularly in all forms of the media. Following his achievements and the international respect that he had achieved, he was promoted and made Chief of the Army. He went on to be promoted again to General and was appointed Chief of the Defence Force. 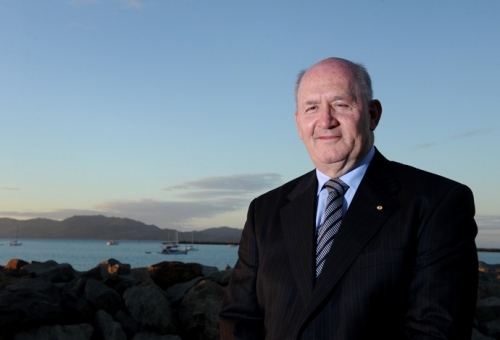 Peter Cosgrove retired from the Army in July 2005. After retirement from the Armed Forces, General Cosgrove has accepted positions on the Qantas and Cardno Boards, a consultancy with Deloittes and has written his memoirs. He has been appointed Chairman of the General Sir John Monash Foundation. After Cyclone Larry devastated Far North Queensland, General Cosgrove was appointed Chairman of Operation Recovery Task Force and he led the successful recovery until completion in early 2007. He is the Deputy Chairman of the Australian Rugby Union Board, Chairman of Foster’s Grants Committee, Chairman of The Australian War Memorial Council, Chairman of DefenceSA Advisory Board and Chairman of Agusta Westland Australia. General Cosgrove is a highly sought after speaker on a wide range of subjects.